Homey – Page 5 – Hello Adorable! 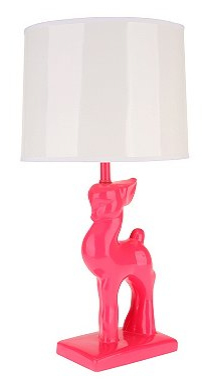 Not only is this lamp hot pink and adorable, but I love that it’s also sleek and stylized which tones down the kitsch factor. (Not that there’s anything wrong with a little kitsch!) Check it out at UrbanOutfitters.com.